Baker Police Dept. Finds Solid Evidence of RFID's Effectiveness — C&A Associates, Inc.
Dec 29, 2014 — Louisiana’s Baker Police Department has achieved sufficient benefits from a radio frequency identification system it has been using for two and a half years to track evidence, that it is now preparing to expand the technology’s use to track items within its 40 police vehicles. Although no date has yet been set to launch the expansion, Assistant Chief Randall Dunaway says he intends to see it go live within the next year or so. With this expansion to its existing RFID system, the police department will be able to more easily document the assigning of devices, such as laptops, fire extinguishers, rifles and other items, to a specific patrol car, and to conduct fast, definitive audits of the vehicles in order to ensure that nothing ends up missing. The evidence-tracking solution was provided and installed by C&A Associates, Inc., based in Louisiana. In 2012, Dunaway says, he first began speaking with C&A representatives about the RFID technology the company offers, and how it could be used to track evidence. At that time, he explains, he had already upgraded the Baker PD’s manual paper-and- pen-based evidence room-management system to one utilizing bar coding. However, he notes, the bar-code solution still had limitations. 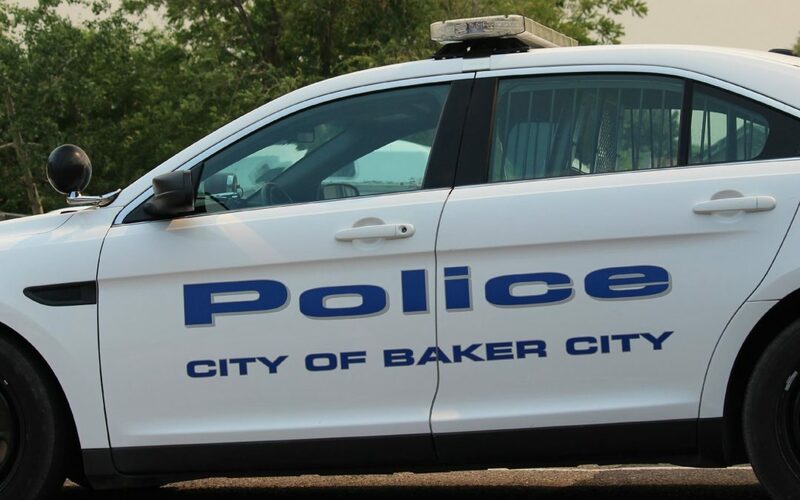 When materials are part of a crime-scene investigation, they end up in a vault as “evidence” that is managed by local police departments like the Baker PD. How those items are managed can vary widely between agencies, however. In most cases, they are tracked manually, according to Matthew Moss, C&A’s’ vice president. The company, which has been providing software to the financial industry for 25 years, entered the RFID arena in 2008, and one of its niches is now in evidence tracking. C&A filed for a patent in 2012 and then installed a trial deployment at the Baker Police Department. The Baker PD assigns each piece of evidence a case number—multiple pieces of evidence could have that same number—as well as its own unique identifier. An Alien Technology passive ultrahigh-frequency (UHF) Squiggle tag is attached to each piece of evidence, and the tag’s ID number is linked to that item’s case and evidence numbers in C&A’s software. C&A installed a fixed ALR-9900 Alien reader at the entrance to the Baker PD’s evidence vault, and also provided an ALH-9010 handheld reader. The police department attached 10,000 tags to as many pieces of evidence, ranging from envelopes to large objects, and listed the assigned shelf location for each tag ID number in C&A’s PADTrax software in a computer used in the evidence room. Each staff member authorized to enter that room was also given an ID badge containing its own Squiggle tag, the ID number of which was linked to that officer’s name in the software. Upon arriving at the Baker PD’s vault, an officer first checks in with the officer managing the evidence and indicates what he wants. However, while one of the two officers would previously have had to look in the vault to find that item, based on its expected location, the shelf ID number for that piece of evidence is now listed in the PADTrax standalone software when an officer or vault manager enters that item into the system via the computer. When the officer walks into the vault, the reader captures that individual’s ID number on his RFID-enabled badge. As he leaves with a piece of evidence, that ID is captured as well, and this again occurs when he returns it. In addition, the PADTrax system includes an infrared sensor at the door to determine the direction in which the individual is moving. This creates an automated record documenting whether evidence is being brought into or out of the vault. The data appears on the software in the form of debits and credits, Moss says, thereby indicating what has been added or removed. This format, he notes, draws from software that the company offers to financial institutions at which money is deposited into or withdrawn from accounts. In the event of an unexpected activity—such as evidence being removed by an officer not permitted to do so—alerts can be issued to other officers via text messages or e-mail. consuming task to figure out what has happened to that item. C&A has recently amended the PADTrax software to allow the Baker PD to place all evidence in one of three categories: city court evidence, district court evidence, and personal property. This helps the police department to more easily determine which items are personal property, as well as whether they have been waiting in the vault for more than 15 days and can now be destroyed (if efforts to return the property to its owners have failed), as opposed to evidence that may be connected to a felony court case, which must remain onsite potentially for many years. By tagging electronic devices, weapons and other gear in its patrol cars, Dunaway says, the Baker Police Department will be able to better manage the property that officers take on their shifts or bring home with them. The company can apply tags to equipment that must be present in each police car. Officers can then carry handheld readers and conduct regular audits of every vehicle, in order to determine if any tagged items are missing or in the wrong car.